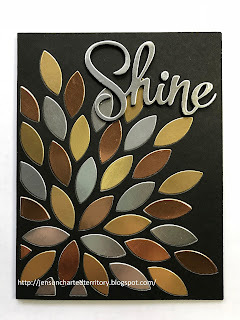 This card is an entry for PTI's Day 7 Anniversary challenge and it was a pretty creative challenge: make a project with dies only- no stamping. I used the "Cover Plate Mighty Bloom Die" and Shine from "Sparkle and Shine Words Dies." 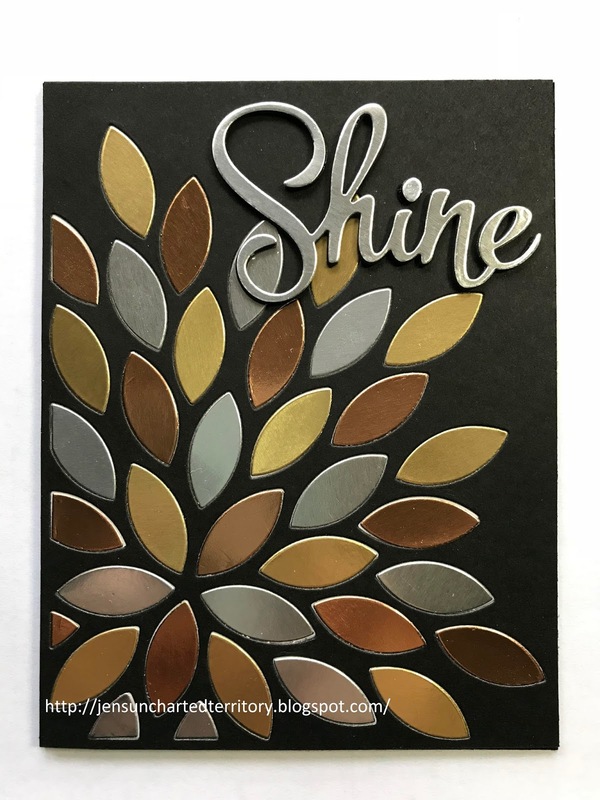 I thought about going with a rainbow of colors but decided to make it more of a schnazzy birthday or encouragement card so I used metallic foil papers for the leaves and word. 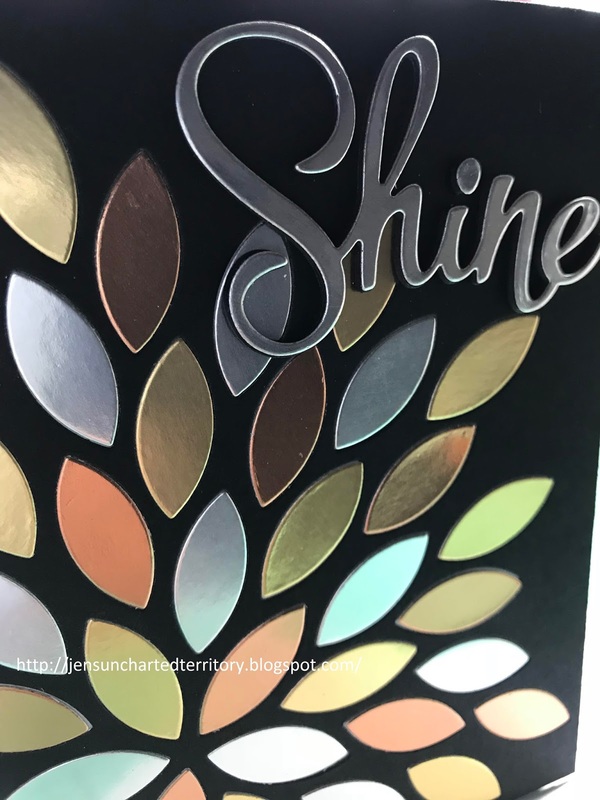 The silver foil Shine is layered on top of 4 black layers. Saw something Stampin' Up that you loved? I'd love to have you come shop with me! By trade, I've been a window dresser in a dept. store, a technical writer, functional & technical analyst, licensing specialist, customer support manager, and project manager. Somewhere along the way I picked up a masters degree in computer animation and graphics. Now, I'm a NC SAHM to a nine year old trying to figure out next steps.